Live Digital Printing is our state of the art print and design technology that allows for custom social interaction. We create a live custom design software that allows you connect, co-create and engage with your consumers on location. Our Live Printing Bus is equipped with wide format print technology capable of producing custom posters, canvas prints, digital print packaging, Custom Stickers and digitally printed apparel on site at your event. Don’t need the bus? 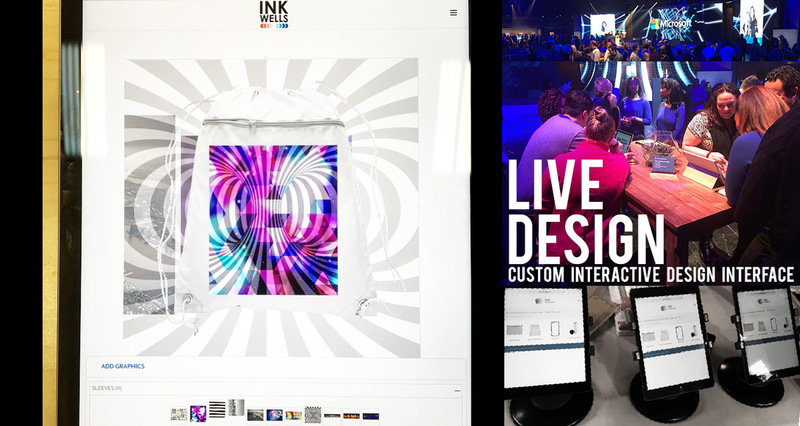 That’s okay our live digital printing team can integrate seamlessly into your brand launch, tradeshow, party or event. If you have an event coming up and want to learn more about offering Live Printing at your event reach out to us here and let us answer any questions you have. Live Digital Printing allows designs to be 100% custom designed by your event guests. Our team has over 5 years in experience with new developing digital print technology and we use these same printing processes everyday fulfilling orders online. We utilize different technology based on the needs of your event and feel confident in helping make your product and brand message memorable. Visit our Live Printing Page for More Info. Offer personalized live digital printing at your event.